Residents of a high dependency care facility in a Rotherham suburb are now safer from fire than ever before thanks to a fire funded sprinkler initiative. The 15 bedded facility – which is based within three large bungalows in Thurcroft – houses people with both learning disabilities and mobility problems. It is run by the South Yorkshire Housing Association (SYHA) who, earlier this year, won match funding from South Yorkshire Fire & Rescue Authority’s (SYFRA) sprinkler fund to pay for a state-of-the-art sprinkler system. Installed earlier this year the devices cover every room in each of the three buildings and, combined with the existing fire alarm system, provide residents with a high level of fire protection. “The people living within this facility are some of the most vulnerable in South Yorkshire which is why we’re really pleased that they now have such an effective fire protection system in place,” said South Yorkshire Fire and Rescue’s Sprinkler Advocate, Roger Brason. Following the installation of the system a cheque was presented, by Councillor Alan Atkin on behalf of the Fire Authority, to SYHA earlier this week (Wednesday 22 August). The sprinkler fund was made available last year. It is open to any social or private housing provider and will part fund those projects which demonstrate the best value and innovation in protecting the most vulnerable people possible from fire. This facility is one of five places that were awarded match funding from the Fire Authority when it made the sprinkler fund available last year. It is hoped that the work done so far to install these systems will encourage more housing providers to consider installing sprinklers in their buildings – especially in the homes of residents considered at higher risk of fire. The sprinkler fund forms part of the SYFRA’s Stronger Safer Communities Reserve Fund, with money set aside from the Authority’s reserves. For more information on sprinklers please visit http://www.syfire.gov.uk/business-advice/sprinklers-2/. The picture above shows Councillor Alan Atkin presenting a cheque, on behalf of the Fire Authority, to South Yorkshire Housing Association. A much-loved Sheffield volunteer is helping the fire service to give safety advice to deaf and hard of hearing people, by sharing his sign language skills with crews. Phil Bowers, aged 49, has volunteered for two days a week as a South Yorkshire Fire & Rescue fire support volunteer for more than five years, helping to carry out home safety visits and fitting smoke alarms. But he is also a trained British Sign Language (BSL) interpreter, meaning he has been able to share basic signing skills with community safety staff and firefighters, including a watch at Parkway fire station and managers across the service. Phil said; “Apart from teaching the crews at Parkway fire station I have also been teaching group managers and had invitations to teach at different fire stations in South Yorkshire. Having sign language skills feels like a great blessing to myself and I feel really lucky that it is not just in my head, but it is locked into my heart. I feel so blessed that I can share it with my fire service family. 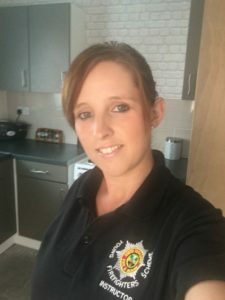 “It is so nice that South Yorkshire Fire & Rescue want to learn about the deaf and hard of hearing community, which I have always felt sometimes doesn’t get noticed. “It has been a pleasure for the last five years to be welcomed to the fire service family, to learn so many different skills and how to be professional in many different situations. It’s just been unbelievable and it has been the loveliest roller coaster of my life. Play workers behind a much-loved community playground in Sheffield have hailed the impact fire service backing has had on their facility. Pitsmoor Adventure Playground was built in the 1970s, but funding problems earlier this decade meant the site was open for just nine hours per week. Now thanks to help from a range of partners, including cash from South Yorkshire Fire & Rescue Authority’s Stronger Safer Communities Reserve fund, the playground is helping to transform the lives of children in the area- with fire officers hoping it will help to reduce fires in the process. The playground is accessed by children and young people from across Pitsmoor, Burngreave and the surrounding areas, including harder to reach children from Roma Slovak, Yemeni and Somali communities. Evidence suggests it is making a big impact on young people’s life skills, behaviour and personal self-care, including dental hygiene. Children visiting the playground are also encouraged by play team workers and volunteers to become active citizens, taking care of the playground and the surrounding communities. The fire funding, which had been set aside from the Authority’s reserves, helped to pay for fire safety through play sessions and additional learning sessions have been delivered on keeping safe on roads and around water. For more information visit pitsmooradventure.org. South Yorkshire fire cadets have been honored at a ceremony in Sheffield to mark their achievements. More than 20 cadets, aged 13 to 17, were recognised in front of friends and family at the event at the fire service’s Handsworth training base, for successfully completing their Level 1 and Level 2 BTEC in Teamwork and Personal skills in a Uniform Organisation. South Yorkshire Fire & Rescue runs seven cadet schemes- at Birley Moor, Cudworth, Edlington, Elm Lane, Dearne, Rotherham and Stocksbridge fire stations. Cadets train at their respective stations once a week, learning firefighting skills and techniques from specially qualified instructors. They also play a key role at community events and take part in team-building days throughout the year. Cadets enrol on to the CVQO education package, which covers the employability skills needed to work within the health and emergency services. The young people had 12months to work towards a recognised qualification, with certificates for successful completion of the programme handed out at last week’s event. Station manager Matt Gillatt, said: “Our fire cadets scheme has a long and proud history. Over the years the scheme has evolved to provide a much more rounded mixture of skills and training, including community work and exercises to build personal confidence and employment skills. The fire service has called on businesses to back up automatic fire alarms with 999 calls, as it battles higher than average call volumes during the heatwave. South Yorkshire Fire & Rescue automatically attends certain industrial and commercial premises which are fitted with specialist fire alarm systems, despite the call outs almost always turning out to be false alarms. With 999 operators handling hundreds of calls a day and firefighters attending dozens more incidents than usual during the current hot spell, officers want building managers of non-life risk premises to dial 999 to confirm there’s definitely a fire. Group Manager Andy Hayter, said: “Most false alarms are caused by faulty fire detection equipment, people setting alarms off by accident, not following correct fire alarm test procedure or building managers failing to investigate the cause of the fire alarm. To reduce false alarms, businesses should check their alarm systems regularly and train staff properly on what to do if an alarm sounds.